WBYA is looking for a Lacrosse Commissioner. If you are interested, please email office@wbya.org. Thank you. Players must be DASD residents. CASD residents go to www.coatesvilleyouthlacrosse.com for information on Coatesville Lacrosse. WBYA’s Boys Lacrosse is aimed at having fun while kids learn lacrosse skills they might eventually use on school teams. 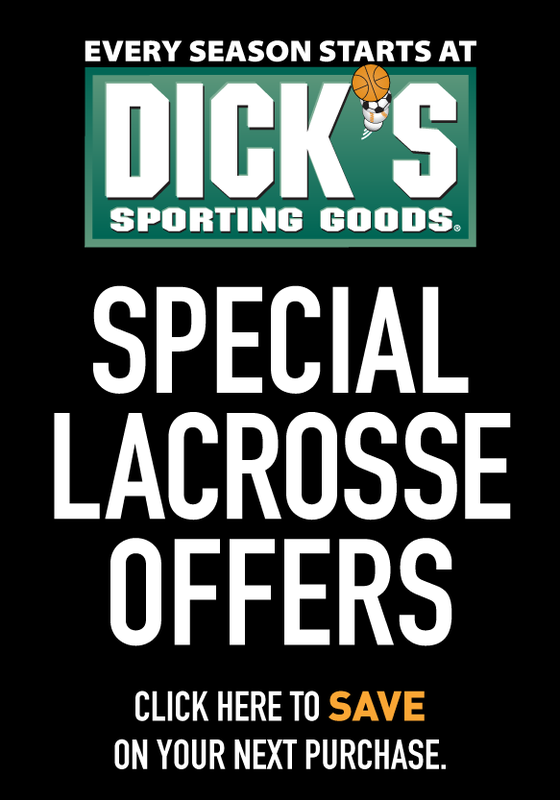 We compete in the Chester County Lacrosse Association league. This league consists of teams from other school districts in close proximity to Downingtown. For U11 and higher, preseason evaluations typically start in late February, and team practices start mid-March. Practices will be outdoors, weather depending. The games run from the first week of April until Memorial Day. Teams that make the CCLA championships will have games the first week of June. Practices are held at multiple locations- Broad Run Park, Shadyside Park, Bradford Heights Elementary School, and Embreeville. West Bradford’s home lacrosse field this season is at the Embreeville sports complex. Away games are at the locations determined by the CCLA opponent. Visit www.cclalax.org for a full list of member teams. For U7 and U9, jerseys are provided. Depending on the jersey, it may need to be returned at the end of the season. The coaches and team manager will notify you of the process during handout. For U11 and up, a jersey purchase is required. Information will be sent at registration on how to order the jersey. Returning players can use the same jersey from season to season. Cost is approximately $35. Optional shorts are available, but all players are required to wear royal blue shorts. For U7, all required equipment except a stick and mouthguard is provided. Players can also use their own equipment. For U9, loaner equipment is available if needed. For U11 and up, it is recommended that players have their own equipment. A limited amount of equipment in larger sizes is available if needed. A helmet, shoulder pads, arm pads and gloves are required in addition to the mouthguard. A protective cup is required for goalies and recommended for all other players. Goalie protective equipment (except cup) is available for use for those that want to try the position. For the skill-based placement, U11 and higher divisions have A, B and sometimes C divisions. A is the most competitive level for the more skilled players. B is more development focused while still being a competitive league. C is focused on the newer player or those still developing skills. Proper placement allows for better development of players at all ages. All CCLA clubs are required to field an A team before they can field B or C teams. Registration numbers determine the number of teams at each age and skill level. If a player is on a high school lacrosse team, they are not eligible to play for any CCLA team. In order to properly place players in the U11 and higher divisions, evaluations will be held prior to the start of each season. These evals take place over several sessions, with several different coaches evaluating players. There are no “cuts” in lacrosse- everyone plays. The evals are used only for team placement based on skill. For U7 and U9, coaches evaluate players during the first several practices and break the players up into evenly skilled teams for games and play days. Generally these team assignments are made for the entire season so that players get used to playing with one another. My child is new to the sport. Can they “play down” to gain experience? The practice of playing at a lower age level is not permitted by CCLA, and not the best method for developing a player’s skills. This is why there are A/B/C divisions. Every effort is made to place a player at the proper level for their skill and experience. I would like my child to “play up” at the next age group. Is this possible? While technically permitted by CCLA, this is not a recommended practice for development of a player. Over the long term, players are best suited playing with the players they will be with through youth lacrosse and into high school. Sometimes the physical difference between two divisions is too much for a player to handle, even if they have the lacrosse skills. Moving players between divisions to keep brothers together or for carpooling or convenience purposes, for example, is not permitted and will negatively impact the players’ development in the sport. I would like my child placed on a team with a neighbor for carpooling. Can this be done? Most WBYA sports allow for carpool requests for teams. But unlike most WBYA sports, lacrosse is a travel sport that also defines its teams by skill. Players asking to be on the same team may be the same age, but may not be the same skill level. If parents are insistent on the players being on the same team for carpooling, it may impact a player’s ability to be placed on the ‘A’ team. With about 20 teammates plus coaches on each team, finding a ride for games and practices is generally not an issue.